Current representative: The current representative for the 45th District is Rep. Mike Webber (R-Rochester Hills). The district features Rochester, Rochester Hills and part of Oakland Twp. 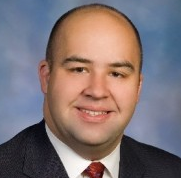 Rep. Webber is a licensed insurance agent and previously served on the Rochester Hills City Council. Webber is chair of the House Regulatory Reform Committee. A map of the 45th District is available here. Rep. Webber raises money through a candidate committee, Committee to Elect Michael Webber for State Representative, and a leadership PAC, the Greater Rochester Leadership Fund.